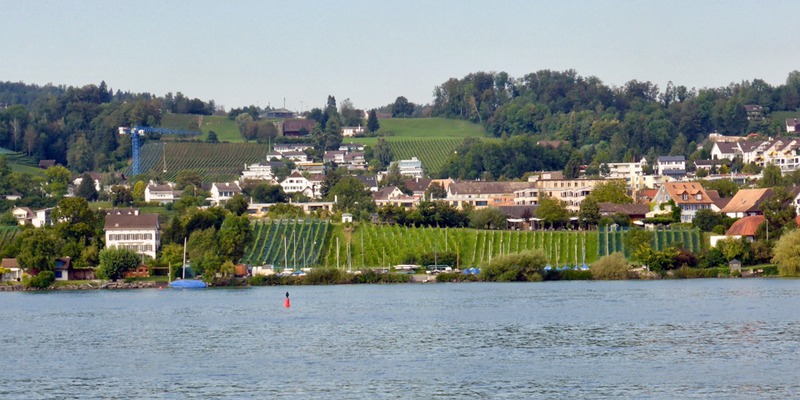 Lake cruises are one of the most delightful ways of experiencing the area around Lake Zurich. A 1 1/2 hour trip is available but for the full experience take the 4 hour Long Round Trip. 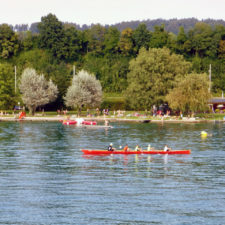 It makes stops along both sides of the lake as it runs between Zurich’s Bürkliplatz and the medieval town center of Rapperswil. Rapperswil is known as “Town of Roses” for its many gardens. Its 12th century castle, which now houses the Poland Museum, looms above a variety of attractions, including a vineyard, Capuchin monastery, and garden. Circus Knie, Switzerland’s largest circus, has a children’s zoo on the site of its winter quarters, a circus museum and circus-themed statuary throughout. Rapperswil also has a 2700’ long pedestrians bridge across the lake to the village of Hurden. It is the longest wooden bridge in Switzerland. There are lakeside cafés to enjoy and villages to explore. 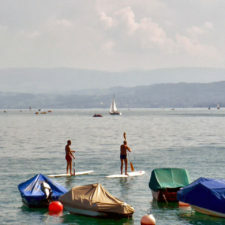 I have 1 full day in Zurich this summer (after a 2-week hiking trip) – this looks like a great way to spend it! It is! Zurich is a walkable city and so much of it can be enjoyed in a day.